Keeping your car clean seems like such an easy task until you hop into it one day and notice that it’s already full of dust, hair, and other small pieces of garbage. Suddenly, the task of cleaning your car now seems daunting. To make the job of maintaining your vehicle’s interior significantly easier, you will require the services of the best car vacuum. 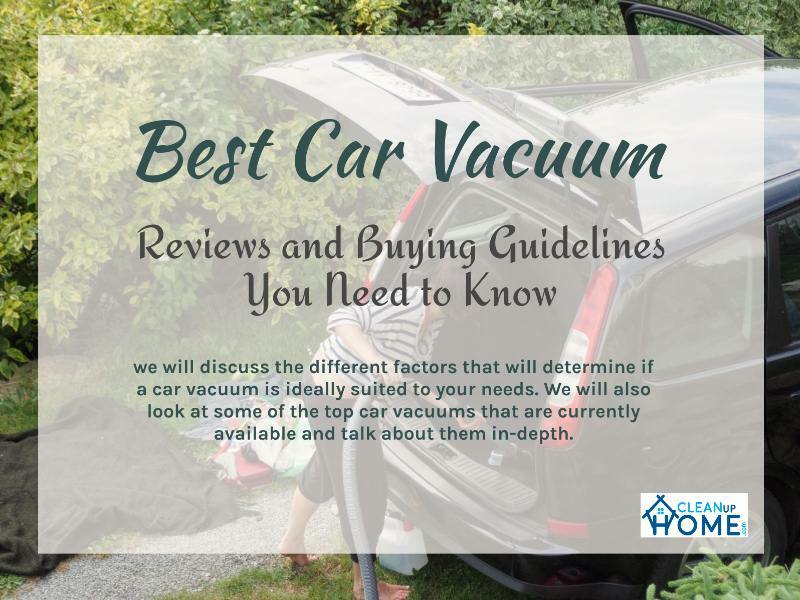 In this article, we will discuss the different factors that will determine if a car vacuum is ideally suited to your needs. We will also look at some of the top car vacuums that are currently available and talk about them in-depth. What Kind of Suction Power Do I Need? How Do Corded Vacuums Differ from Cordless Vacuums? What Do I Need in Terms of Battery Life? It’s now time to take a look at some of the top car vacuums that are available right now. These cleaning items excel in different areas, so you may find something that works perfectly for you. 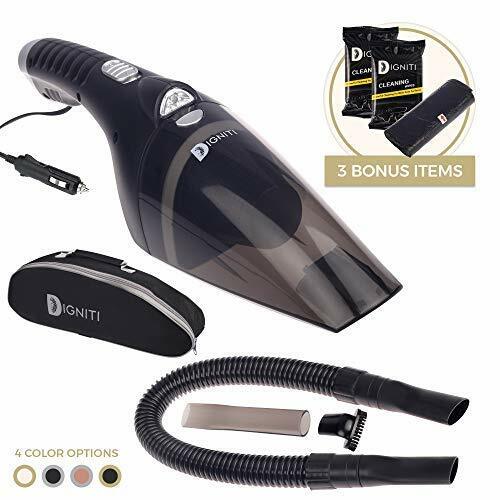 Big things come in small packages and that is certainly true for the Portable Vacuum Cleaner from Digniti. This is one of the lightest car vacuums that you can find today, but despite that, it packs plenty of power. It is capable of offering as much as 106 air watts of power, which is honestly super impressive for a vacuum of this size. You can also keep it working at that level for a long time because this is a corded cleaner. About that cord, you shouldn’t worry too much about it restricting your range of movement. It’s a 16.4-foot cord and that means you are going to have plenty of freedom to move while using this vacuum. There’s also a HEPA filter included that will get rid of allergens that may be floating freely in your car. If it ended there, you can easily think of this as one of the best car vacuums you’ll ever find, but sadly, durability is an issue. Don’t expect this car vacuum to last for a long time in your care. However, even during its short period of service, it should still prove immensely helpful to you. Versatility is an important quality in car vacuums and that is why I am fond of Bissell’s Hand Vacuum. The manufacturers have managed to improve the versatility of this product by including a bunch of useful accessories. The motorized brush roll attachment is what you will want to use if your car floor is covered in pet hairs. The dusting brush clears the way for cleaning. You can follow it up with the vacuum to more efficiently clean your car. The extension hose is going to help you reach into the deepest points of your car so that you can clean them properly. By the way, the vacuum itself is also a solid performer on its own. This kind of car vacuum is best for light cleaning. It only lasts for about 15 minutes at a time. That’s ideal for tidying up but not for the deeper type of cleaning that your car may need from time to time. Sometimes, we don’t have time to sit down to the breakfast or dinner table and we just have to eat our meals on the go. Our bellies may be filled by on-the-go eating, but it could come at a cost. Specifically, we could end up leaving a mess behind in our cars. Food crumbs may fall and drinks may get spilled while we’re eating in our cars and cleaning those up is not going to be easy. The Armor All Utility Wet/Dry Vacuum will make that particular challenge significantly more manageable though. Armor All’s car vacuum is pretty strong and the best part about it is that it can clean up wet and dry messes. It works better on dry materials, but merely having the capability to remove wet materials is already a huge plus. Whatever waste this vacuum picks up gets stored in the 2.5-gallon container. I wouldn’t say that the 10-foot power cord is short, but it’s still a shame that this vacuum can’t be plugged into the car so that it becomes less restrictive to use. You’re also going to receive a nice bundle of attachments and accessories if you decide to purchase this Armor All vacuum. 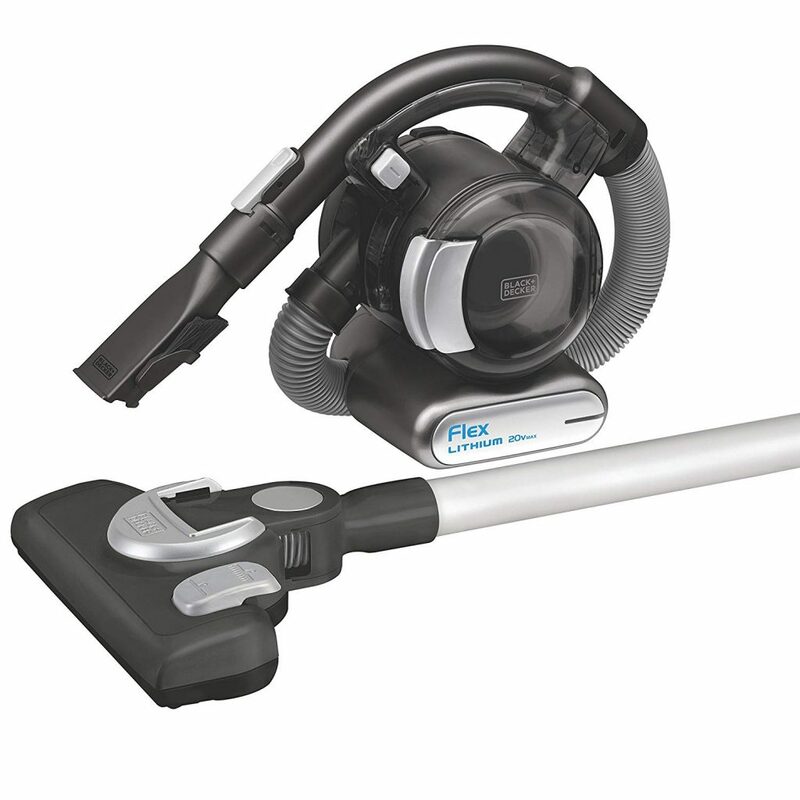 Black + Decker’s Flex Vacuum with Floor Head strives to be more than just the typical car vacuum. If you want to use it for cleaning up your home, you can make use of the stick vac floor head to gear it up better for that particular job. Some useful accessories are also bundled together with this vacuum cleaner. The 4-foot extension for the hose will make it easier for you to reach the hidden crevices of your vehicle. The pet brush excels at removing pet hairs from the carpet. That attachment is going to come in very handy if you like to travel around with your animal companions. Maintaining this vacuum cleaner should also prove to be quite easy. Thanks to the cyclonic action this vacuum utilizes, the filters will remain in working condition for a longer period of time. The waste receptacle is also easy to clean. Suction power is where this vacuum cleaner is lacking. It tops out at 24 air watts and while that is above the minimum level you would want to see in a car vacuum, it still would have been so much better if it featured a bit more juice. I mentioned earlier that corded vacuums are usually more powerful than their cordless counterparts. That is not the case with the Car+Boat Handheld Vacuum Cleaner from Dyson though. When you crank this car vacuum up to its highest setting, it can provide up to 100 air watts of suction power. That is on par with some of the high-end corded vacuums on the market. Now, the issue with operating at that level is that this vacuum’s battery level will get depleted faster. The manufacturers note that it should be able to provide about 30 minutes of work, but that is only true if you have it operating at slightly below standard capacity. Keeping it in high-powered mode means that it may only last for about five minutes or so. I don’t really have an issue with that trade-off. When this vacuum’s operating at full blast, you won’t need to use it for a long time anyway. Another bonus of using this car vacuum is that you won’t need to get your hands dirty just to clean it up. It does take a while to get fully charged. However, as long as you remember to charge it regularly, that should not be a big problem. Car vacuums vary in many ways. Some prioritize portability, while others are more focused on providing as much power as possible. Let’s talk about what those differences and how they will affect the kind of work the car vacuum can offer to you. The car vacuum’s primary job is ridding your car of unwanted debris, whether they come in the form of hairs, or dust particles, or just those small candy wrappers you may have forgotten to discard properly. That job is not easy though. Those small bits of garbage tend to bury themselves in the hardest-to-reach spots in your car’s interior and they may even be stuck there. You will need to have a vacuum that features sufficient suction power to ensure that those minuscule particles can be removed from your car. 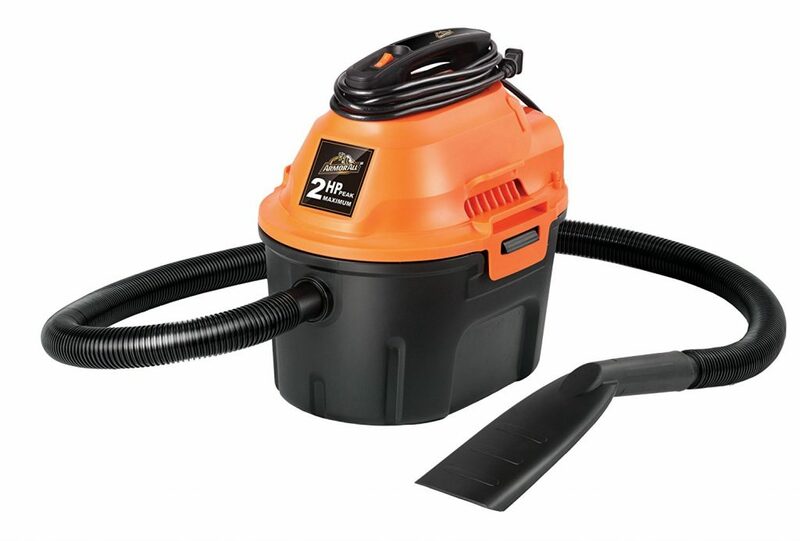 So, what is an ideal amount of suction power for your car vacuum? The lowest you can go when it comes to suction power for your car vacuum is about 15 air watts, according to JAMES EDMOND the author of Parking Day. Anything below that and you will likely have a hard time trying to dislodge any debris in your car. Try to look for a car vacuum that boasts a high upper limit when it comes to suction power. 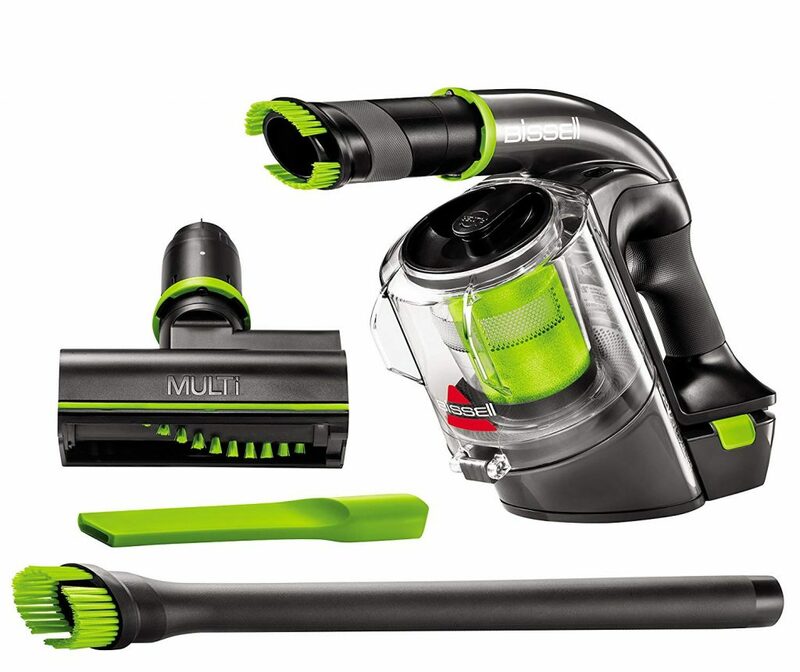 You likely won’t have to use that maximum vacuuming power all the time, but it’s still nice to have it available. Typically, the corded car vacuums you’ll see can be tougher to move around, but they can work for longer periods of time. Cordless car vacuums can’t work all day, but they are more portable and they are less restrictive. For the most part, the corded vacuums are more powerful than the cordless vacuums. Still, if you spend the time to look for them, you will find high-powered cordless vacuums as well. Now, if you do decide to get a cordless vacuum, you will have to factor battery life into your calculations before purchasing anything. Batteries that can power your vacuum for 15 minutes are acceptable, per Wirecutter, but that battery life may not be good enough if you’re planning some deep cleaning. Prioritize the vacuum cleaners that are powered by batteries that can work for 30 minutes if you want greater bang for your buck. The importance of portability will depend on your cleaning preferences. Do you prefer waiting to clean your car until the weekends when you can do so from home or do you want to be able to clean it up as soon as possible? The choice is up to you. If you are seeking a portable vacuum cleaner, then look for a cordless model that’s also lightweight. As long as the car vacuum itself performs well, I honestly don’t pay that much attention to what accessories are offered together with it. However, if you do want accessories, then I would prioritize attachments such as brushes and blower nozzles. An extension for the hose would be helpful and so too would an additional waste container. 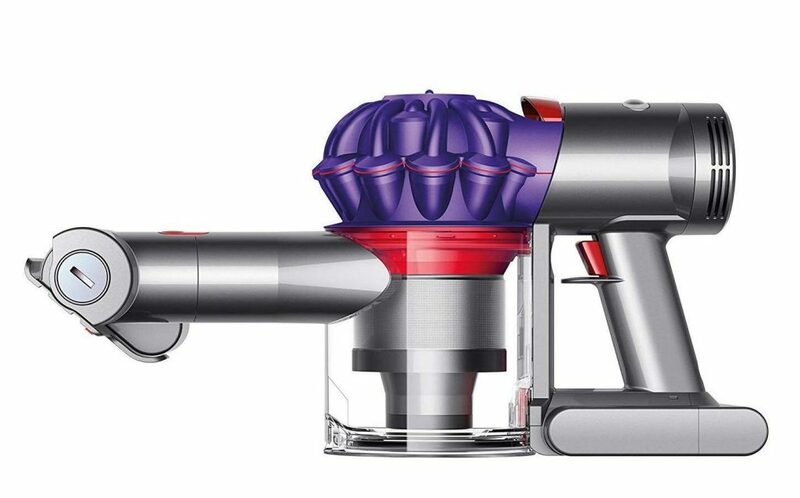 All the car vacuums above are quality products, but for me, one stands out from the pack and that is the Dyson Car+Boat Handheld Vacuum Cleaner. In terms of power, this car vacuum will be able to supply all the air watts you need. You can also use it for an extended period of time as long as you manage the power level carefully. I also love the lightweight design of this car vacuum because it allows me to use it for a while without straining my hands. Charging the batteries needed for car vacuum can be time-consuming, but that is a minor flaw that you can easily adjust to. If you need a vacuum cleaner that will work wonders for your car, then you’ll be hard-pressed to find an option superior to this product.